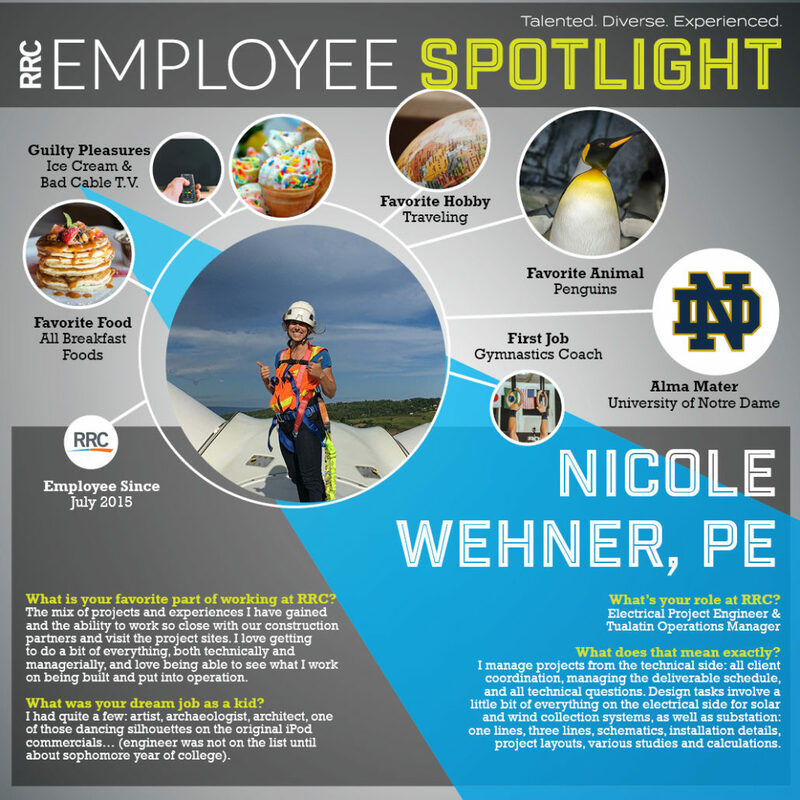 At RRC, our employees are as distinct as our offerings. We want to place a SPOTLIGHT on one of our talented, diverse, and experienced staff members. 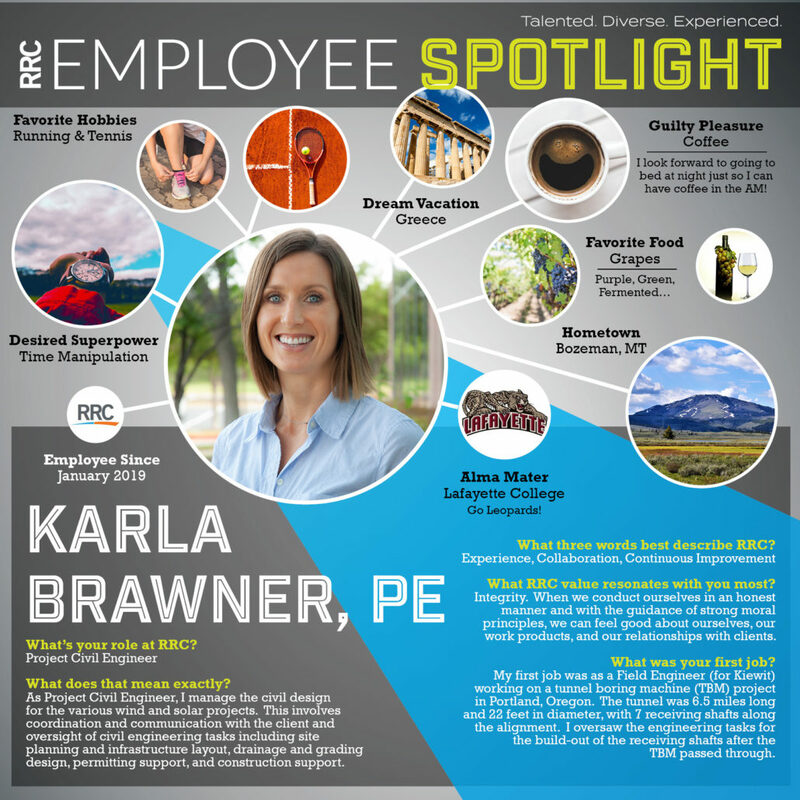 Meet Karla Brawner, an RRC Project Civil Engineer and PE! 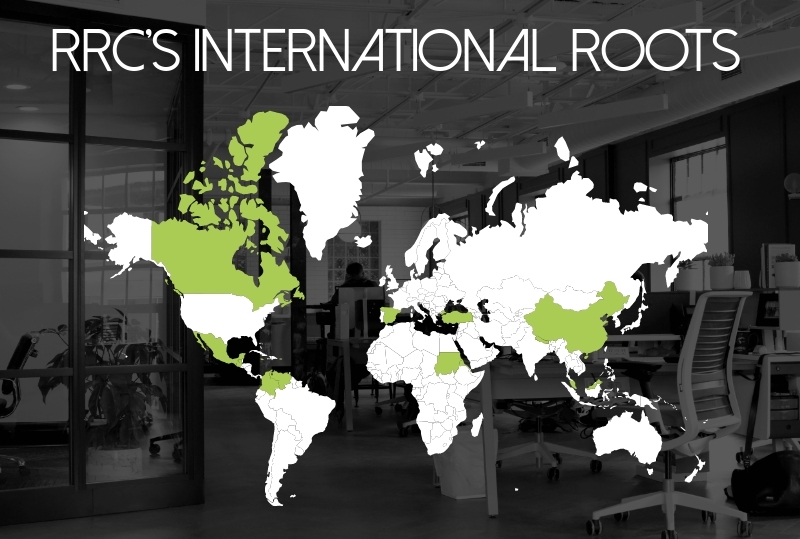 At RRC, our employees are as distinct as our offerings. We want to place a SPOTLIGHT on one of our talented, diverse, and experienced staff members. Meet JuanMa Salguero, RRC Structural Engineer! At RRC, our employees are as distinct as our offerings. We want to place a SPOTLIGHT on one of our talented, diverse, and experienced staff members. 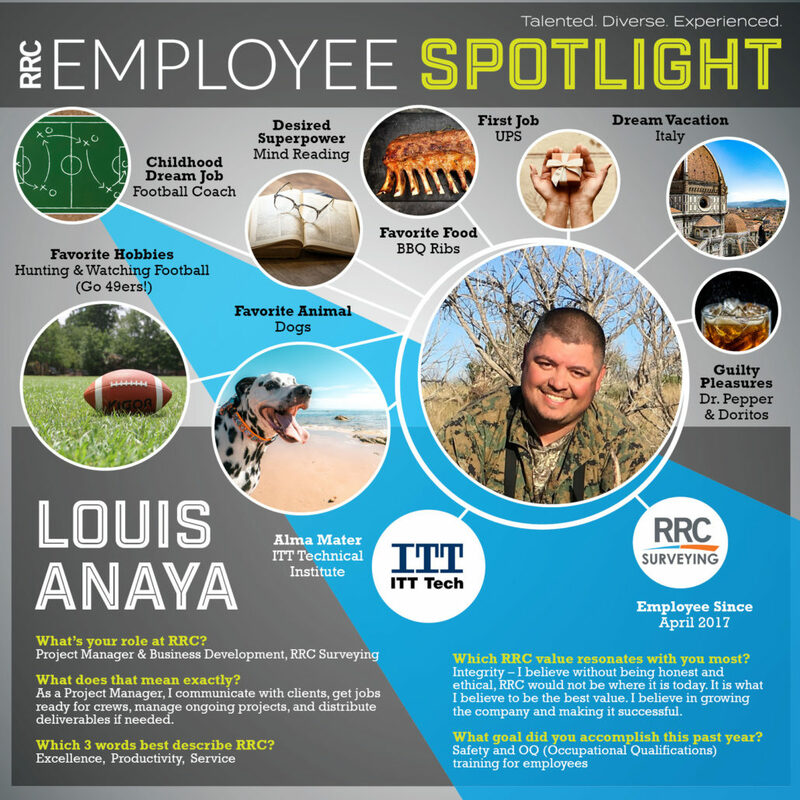 Meet Louis Anaya, RRC Surveying Project Manager! At RRC, our employees are as distinct as our offerings. 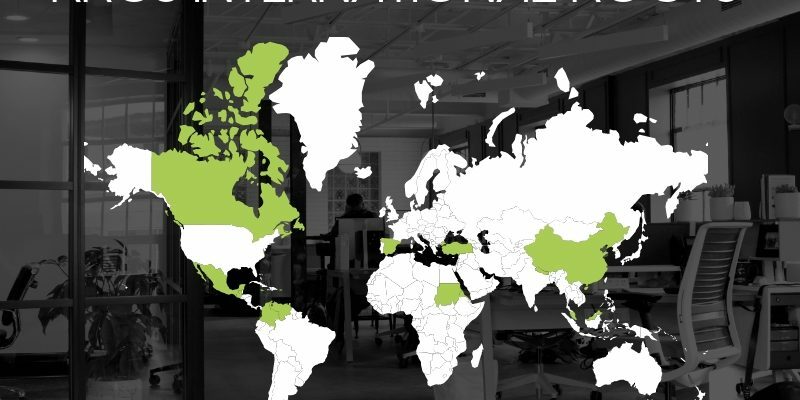 We want to place a SPOTLIGHT on one of our talented, diverse, and experienced staff members. 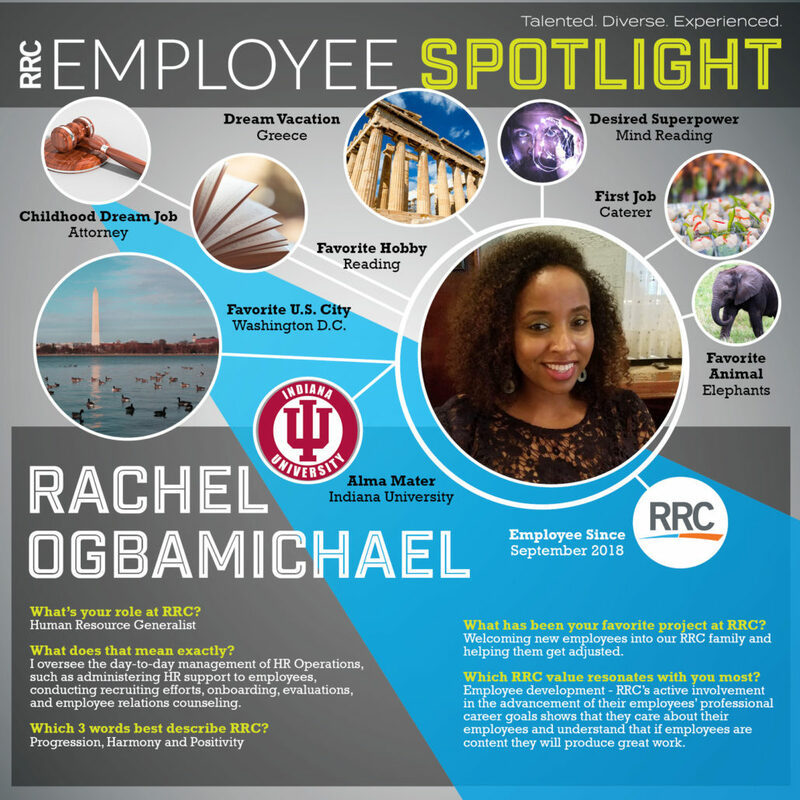 Meet Rachel Ogbamichael, our Human Resource Generalist in the Round Rock, TX office! 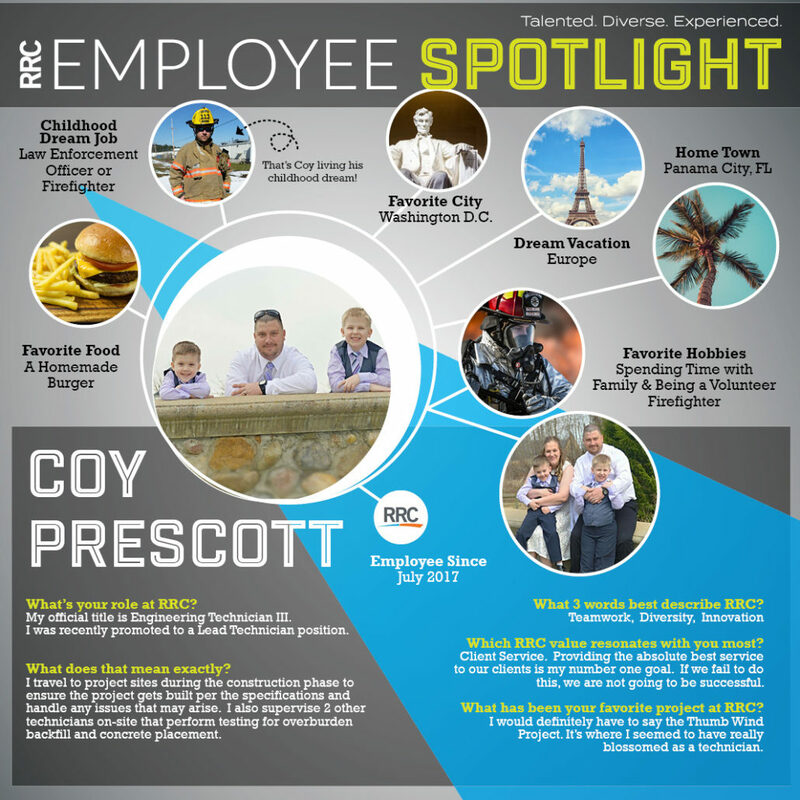 At RRC, our employees are as distinct as our offerings. We want to place a SPOTLIGHT on one of our talented, diverse, and experienced staff members. 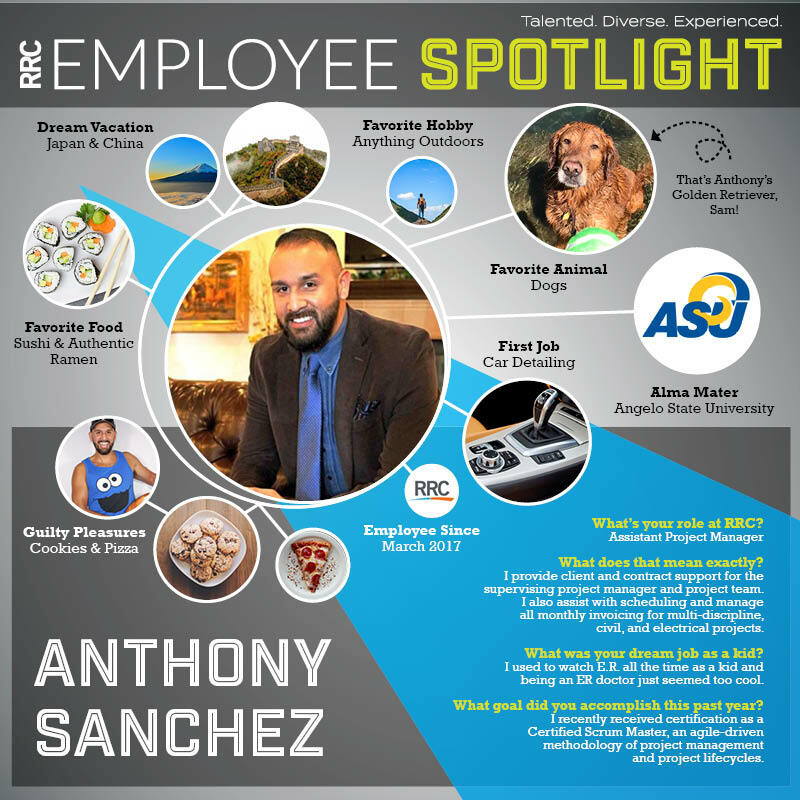 Meet Anthony Sanchez, Assistant Project Manager in our Round Rock, TX office! At RRC, our employees are as distinct as our offerings. We want to place a SPOTLIGHT on one of our talented, diverse, and experienced staff members. 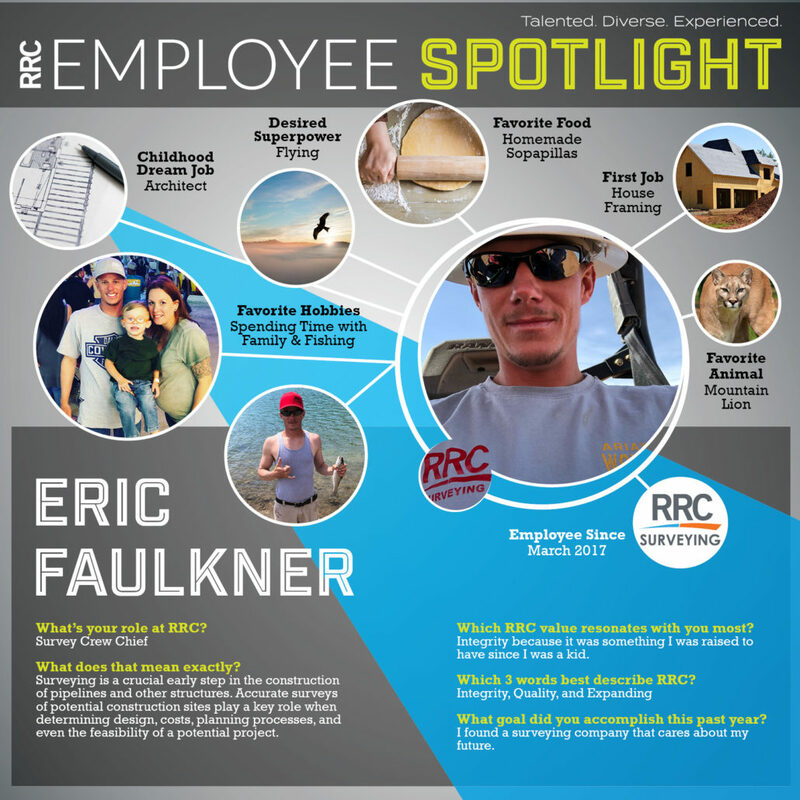 Meet Eric Faulkner, Survey Crew Chief out of our Hobbs, NM office! At RRC, our employees are as distinct as our offerings. We want to place a SPOTLIGHT on one of our talented, diverse, and experienced staff members. 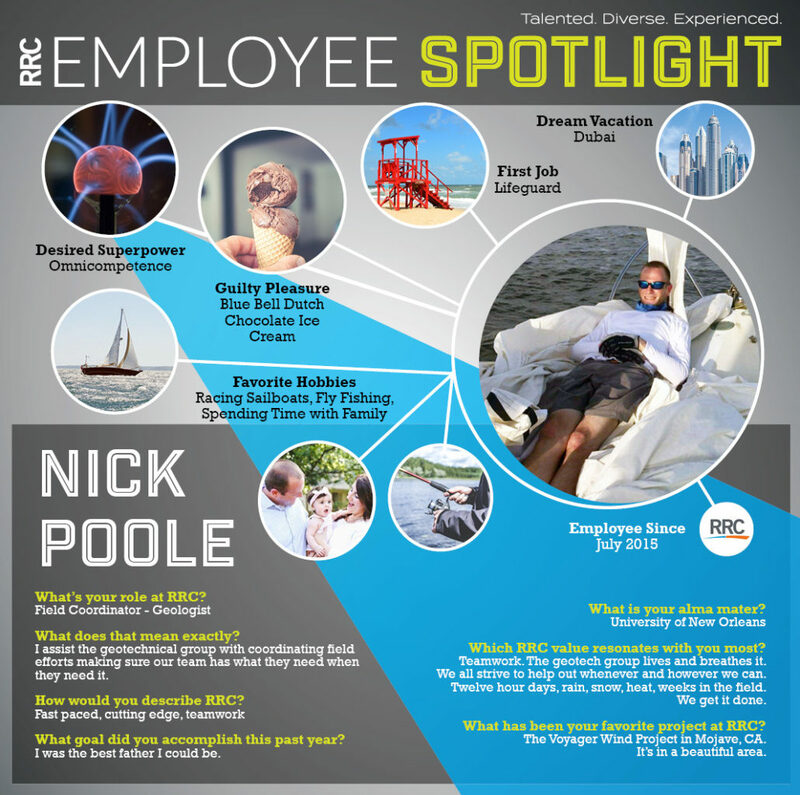 Meet Nick Poole, RRC Field Coordinator and Geologist!